Thursday, July 11, 2002. Philadelphia, PA. Photos by Mike Levin. - Global Education and Advocacy. 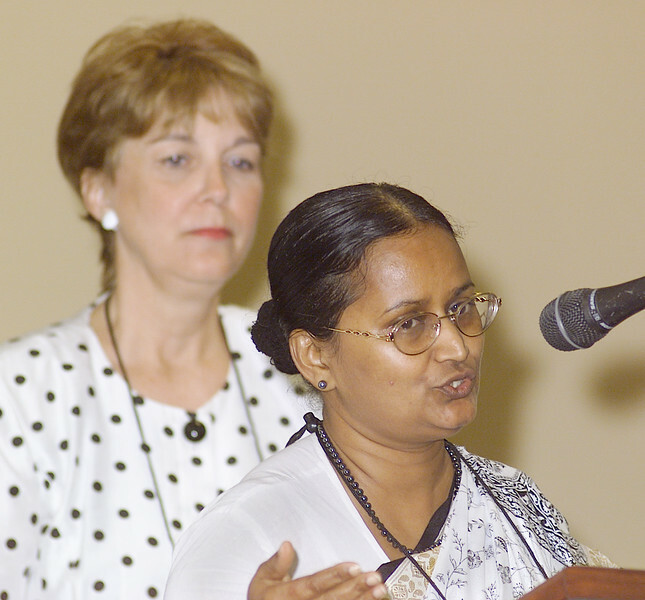 Speaking to the participants is Priscilla Singh, Secretary for Women in Church and Society desk of LWF looks on, while North American Regional Officer for LWF, Kathy Magnus looks on.